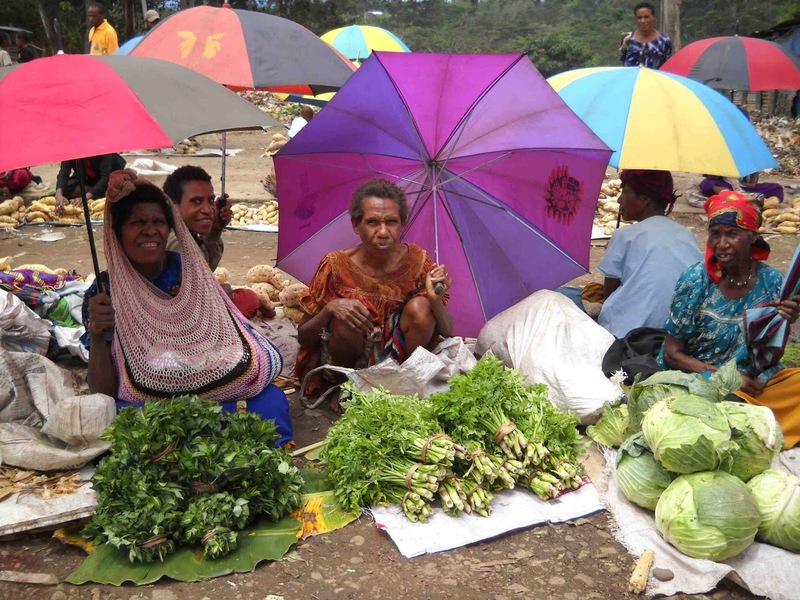 PNG isn't a wealthy country, but the land is rich for agriculture. Gardens and plantations cover the valleys and foothills around Kudjip. The markets are a rainbow of fresh produce--mountains kaukau (sweet potatoes), cabbages, broccoli, pineapples, and many other fruits and veggies. With the abundance of food available, we don't see malnutrition all that often. At least in grown-ups. Unfortunately it isn't all that uncommon for children under the age of 5. 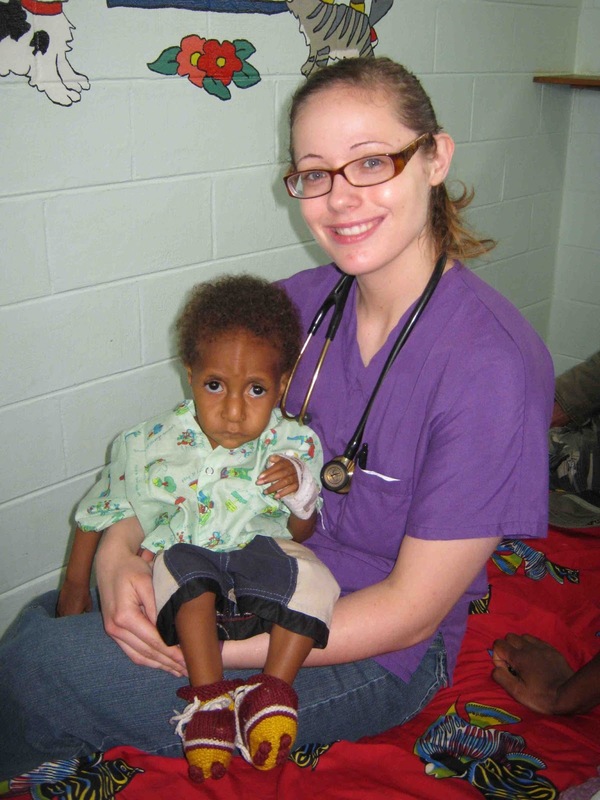 In fact, we have several kiddos admitted with malnutrition on A-ward right now. 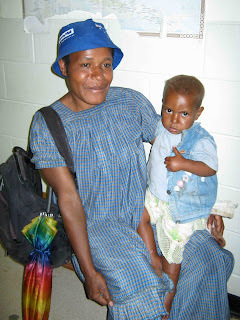 There are a couple of reasons that children in PNG become malnourished. First of all, adoption is very common among the people groups in our area. One mother who has a bunch of children will gladly give her new baby to another woman who has none. Breast milk is replaced by powdered whole milk, Milo (a chocolate energy drink), or kaukau and water. These replacements are not adequate nutrition for babies under a year of age. Some adopted babies are fed with formula, although it is not always mixed appropriately or may be made with contaminated water. I cringe every time I see a baby being fed with a bottle, especially if it is filled with milky-brown Milo. Another contributing factor is the relatively low protein diet of the highlands. Garden fruits and vegetables are abundant. Peanuts and beans are the most consistent source of protein. Eggs are an occasional addition to the diet. Meat is a rare luxury. I recently saw an 18 month old in clinic. Mom's chief complaint was that her arms and legs had been swelling for the past week. Sure enough, her extremities were puffy with non-pitting edema. She also had light-colored, brittle hair. On a blood test, the total protein was quite a bit below the normal range. Her diagnosis is kwasiorkor, or protein malnutrition. I treated her for worms and talked with mom about increasing protein in her diet. We will see her back in clinic in a couple of weeks. Some children are at risk of malnutrition because of chronic disease or recurrent infections. Their bodies just can catch up to the demands of the illness. Ismael is one of our kids on A-ward. He has tuberculosis. As you can see, Ismael is "bun nating" (skin and bones) and has the appearance of a little old man. This kind of malnutrition is called marasmus, or protein-energy malnutrition. The treatment for marasums is to first of all get rid of the underlying problem. In this case, we are treating Ismael for TB. This in addition to a diet high in fat and calories will hopefully help him to start gaining weight again. BTW, the white girl in the picture is Liz. She is a PA student visiting from Trevecca. Ismael loved her from the first day :). Lucky Liz... I only made him cry! "Suppose a brother or a sister is without clothes and daily food. If one of you says to them, 'Go in peace; keep warm and well fed,' but does nothing about their physical needs, what good is it? In the same way, faith by itself, if not accompanied by action, is dead."